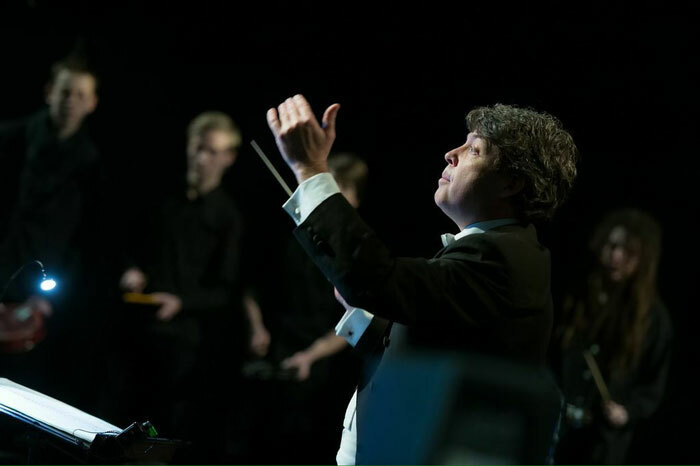 «First Date» is an orchestral work by Norwegian composer Sindre Hotvedt, combining epic film music, hard rock, jazz and classical music. The concerto is a unique meeting between two contrasting instruments and musicians – Marcus with his drums and with a background as improvising jazz musician, and Sidsel with her electric harps firmly established within traditional classical music. In this concerto they play with a larger ensemble where several musical genres meet. 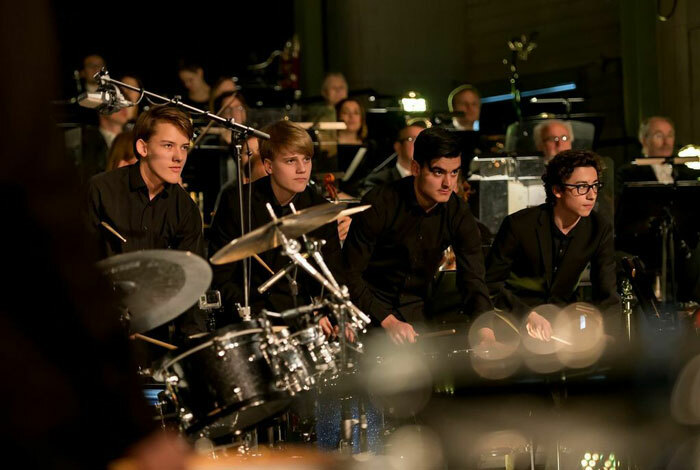 The concerto was performed for the first time in 2011 with the Stavanger Symphony Orchestra in Rosenberg Hall. 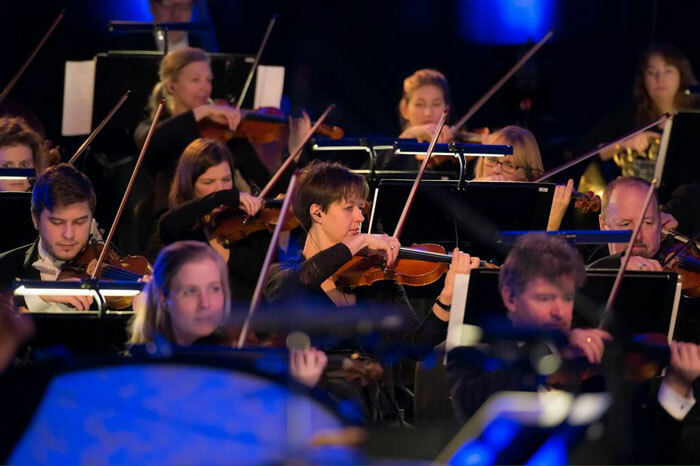 In 2014 the concerto was performed with The Norwegian Radio Orchestra several times and one of the concerts was recorded and broadcast sent on National TV. “First Date” består av tre satser. Between the second and third movement is the Intermezzo. The Intermezzo can be customized to fit the conditions and potential of each individual venue, and to the performing musicians. 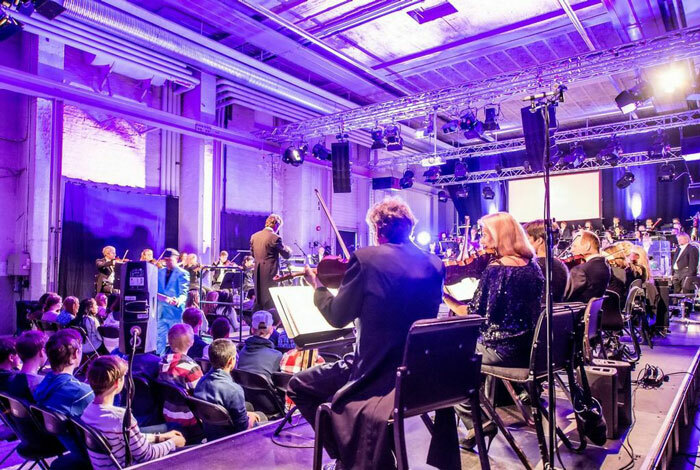 One of the main goals of the concert at Rosenberg was to include workers from Rosenberg Shipyard and let them participate in the preparations for the concert and attend the concert. Marcus adapted and rehearsed the Intermezzo with the workers ahead of the concert. 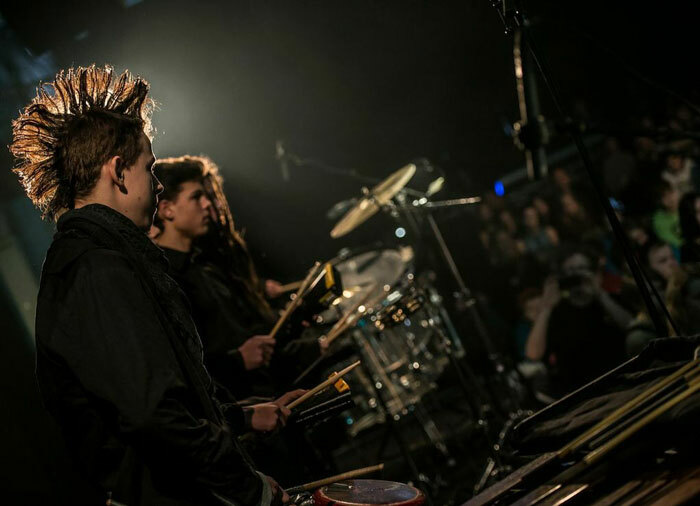 This resulted in a custom-made rhythm section where 18 workers played on self-made industrial instruments at the premiere. Marcus devises a new Intermezzo for each location based on the potentials of each venue and on each individual client’s needs and desires. On occasions where there is no room for such a stunt, the Intermezzo may be left out altogether. 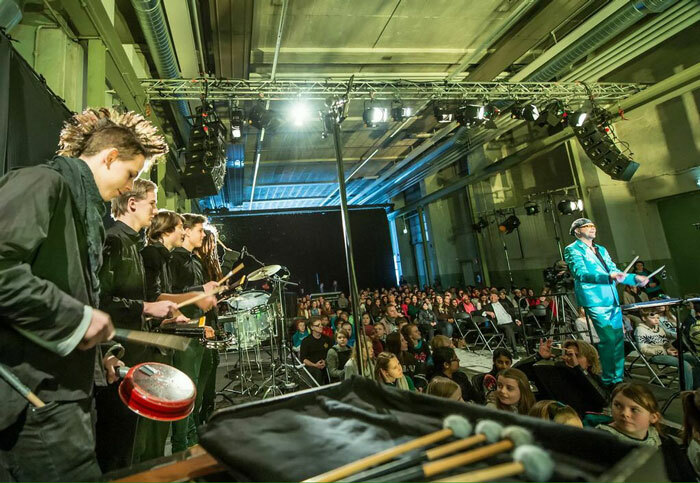 The concert is easily adapted to suit a regular orchestra in a different format than presented in the video. Many formats and ideas for exclusive performances are already developed and ready for implementation. Sidsel and Marcus have worked as a duo since 2008. 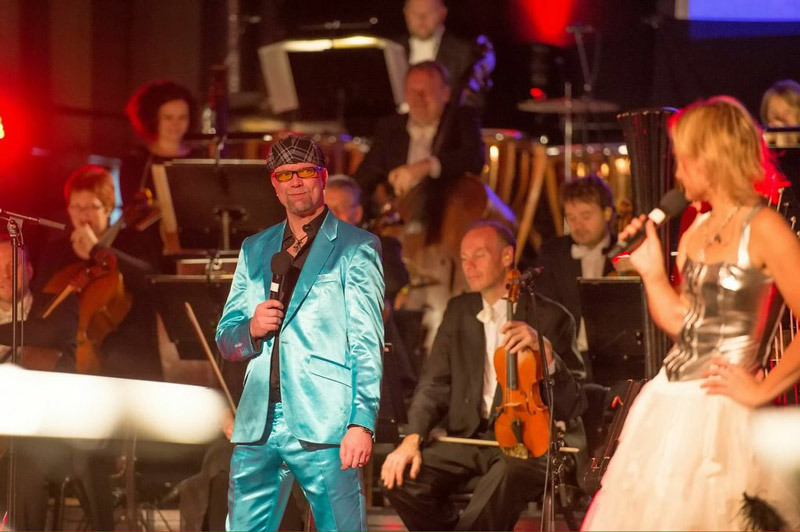 The music they perform is an innovative and exciting combination of classical music and pop music, composed exclusively for and by themselves. As a duo, Sidsel and Marcus wanted to explore the differences and the relationship between harp and percussion. What is the percussive elements of a harp and how does one blend the melodic qualities into the rhythm? The result is a wonderfully rare musical happening – a combination which rouses and makes even the most experienced listener sit up and listen extra carefully. 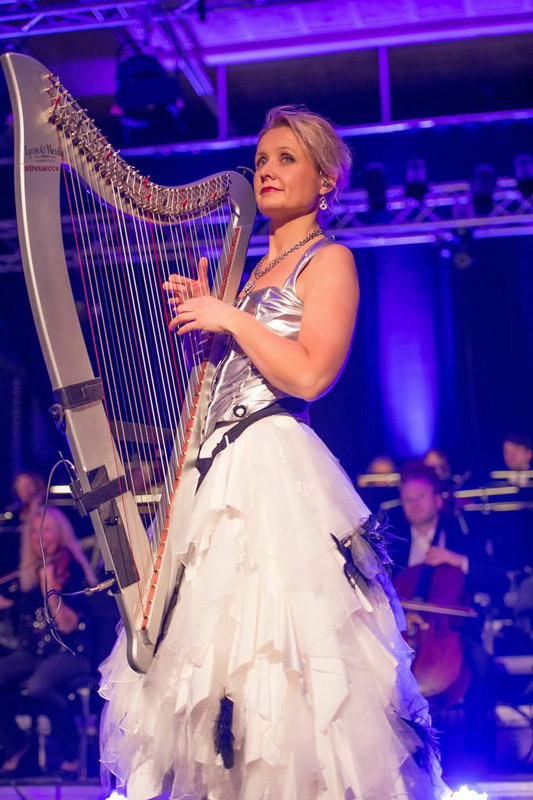 Sidsel is a sought-after musician, both as a soloist with her own projects and as a chamber musician. 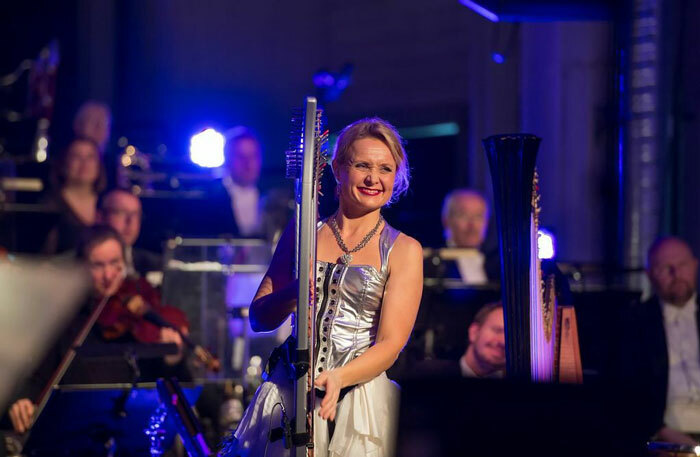 She is the solo harpist at Kringkastingsorkesteret (The Norwegian Radio Orchestra), a position she formerly held at Den Norske Operas (The Norwegian Opera) Orchestra. 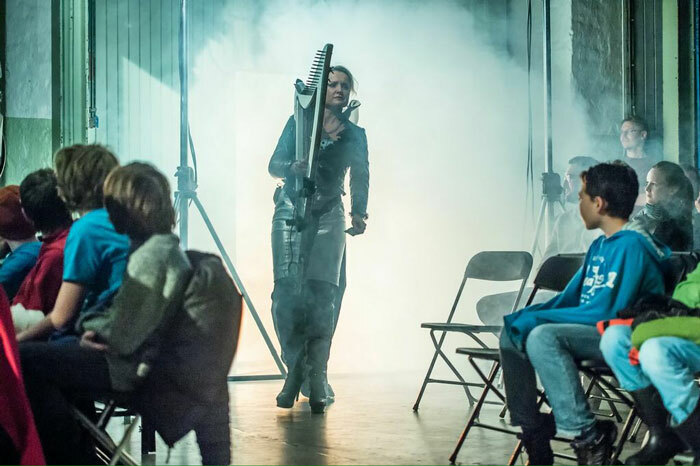 One of the most exciting things about Sidsel is her ability to cross genre boundaries and go beyond preconceived perceptions of what harp music should sound like. 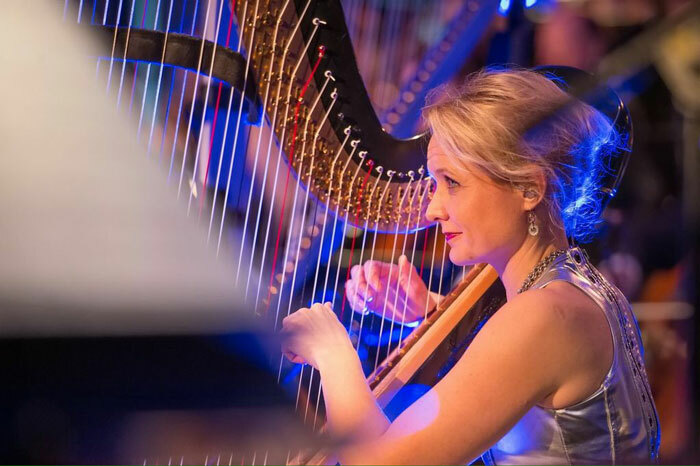 Particularly in the use of electric harps she has been a pioneer in exploring new musical landscapes, where fuzz and funky rhythms are musical elements equal to the sound of more traditional harps. 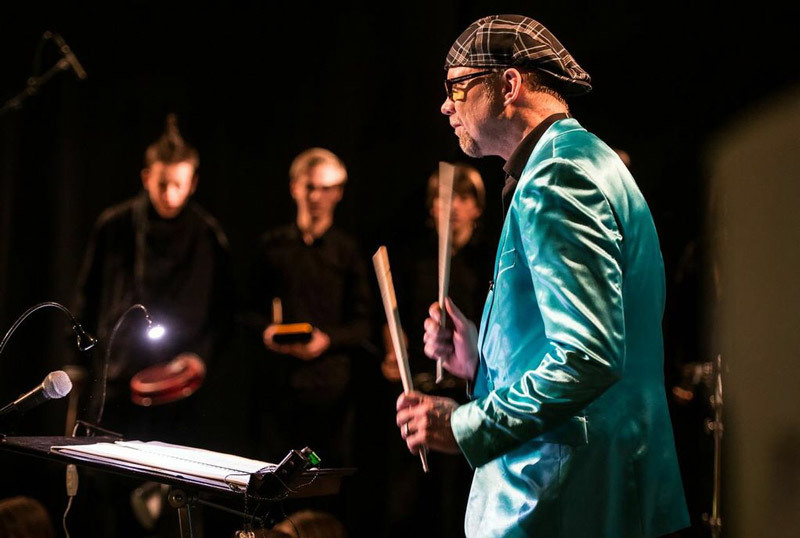 This musical versatility has led to collaborations with musicians and artists from most musical camps: Karpe Diem, Ne-Yo, Secret Garden, Sissel Kyrkjebø, Silje Nergaard, Solveig Kringlebotn, Helen Bøksle and many more. It has also taken her on several tours and to festivals both at home and abroad. 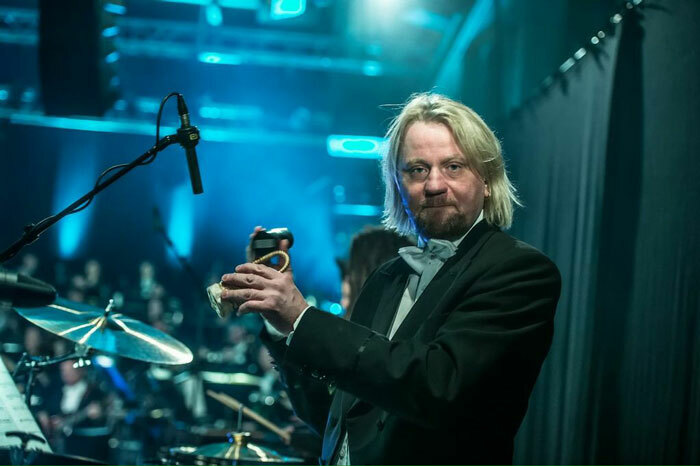 Marcus’ teacher through many years was none other than the drum legend Egil «Bop» Johansen. 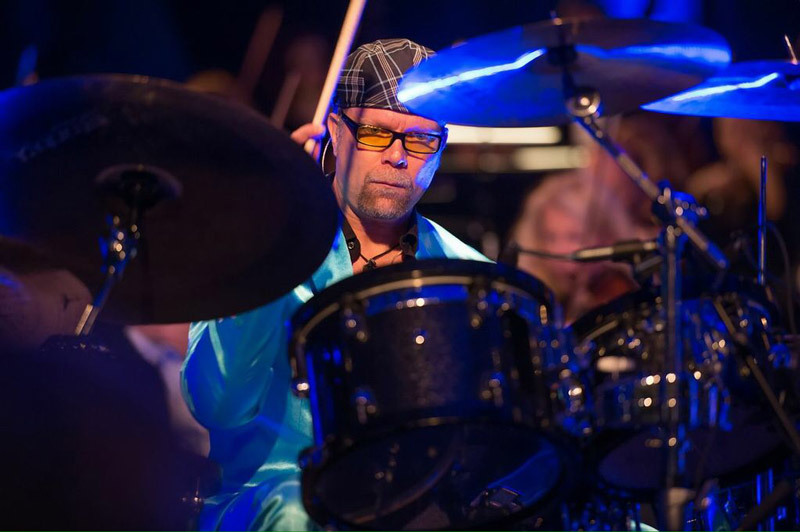 Marcus has toured with Putte Wickman, Nils Landgren, Monica Zetterlund, Arne Domnerus, Frode Alnæs, Ole Edvard Antonsen, Solveig Kringlebotn, Scott Hamilton and others. 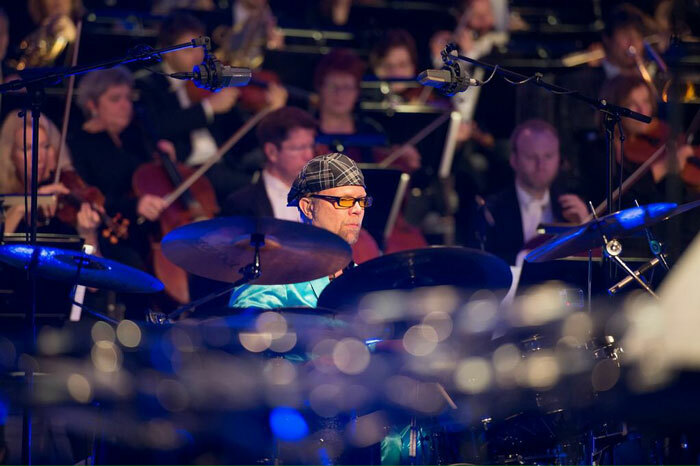 Marcus is a skilled musician, drummer and percussionist who played for ten years in The Brazz Brothers. He is a popular and much sought-after musician known for and due to his dynamism, playfulness and musicality. Since 2009 he has been a full-time freelancer based in Oslo. 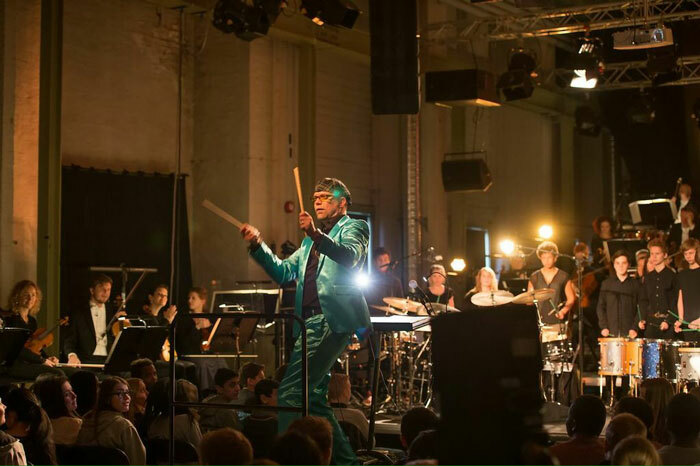 Within the last few years he has toured several times with Rikskonsertene and been a comp-drummer with the Stavanger Symphony Orchestra, KORK and Det Norske Blåseorkester to name but a few. 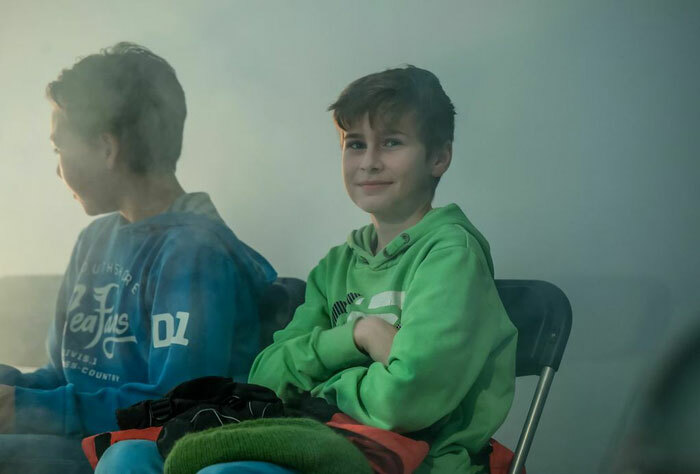 Marcus is also a sought-after teacher and runs his own workshops.